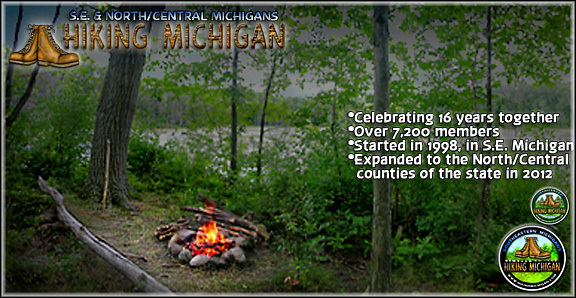 As Hiking Michigan enters it’s 16th year in existence, I would like to Thank the now, over 7,200 members that make up the largest Hiking Organization in the state of Michigan. Not only is this Group the largest, but in my opinion, It is one of the nicest, friendliest and excepting Outdoor groups in the state. It takes ALL of you members to have produced this wonder place for everyone to come and be excepted and enjoy Nature together. I would also like to personally Thank everyone who have been so patient, kind and reassuring towards all the delays in Hike schedules this past year. My health recovery has been very slow, and I have received some of the most beautiful emails and letters from you HM members. 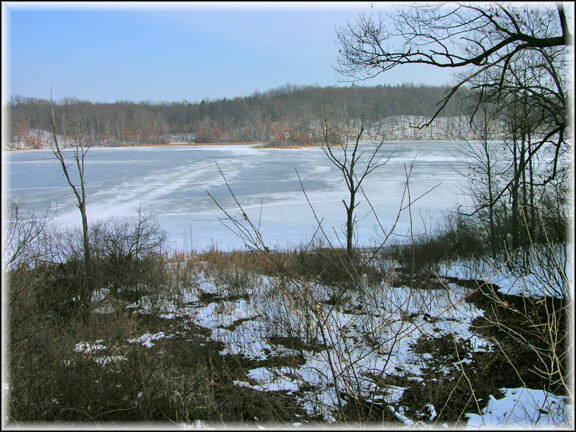 We will definitely be back on track come this Spring of 2014, with regular Hikes and Outdoor activities. 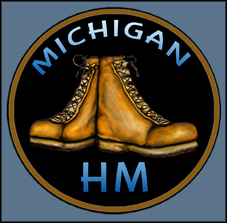 Your support and loyalty to, YOUR Group has made us even stronger, and shows just why Hiking Michigan has survived and prospered for going on 16 years now. I would like to wish all of you the best of the Holidays and hopefully the very best upcoming NEW YEARS!!!!! We will be sneaking in some random Campfires and maybe a Snowman build over the Winter months, before we get back solid with a regular Hiking schedule come Springtime. Again……..Thank You all so very much for your personal support and kindness/understanding on all the schedule delays and the support for my personal healing. It has meant alot to me. But it shows why we have made 16 years and why YOU are all the best Trail partners anyone could ask for! One side note here………I personally belong to many Outdoor Groups. There are also some great ones out there. But there is just something about the HM members that make you guys stick out from the rest. Your acceptance of everyone that joins in on a Hike. Your friendliness and sharing of Trail supplies and Outdoor knowledge. This has made it easy for anyone to just stop in here, not know anyone else, and join in on the fun of exploring Nature and all the beauty our state of Michigan has to offer. No one can make any of you do those things. You all just have done it anyways. THANKS! So Who gets the Baton? I was talking with a lifetime Role Model of mine. Yes……even at my age, I have Role Models. We all need to be checking our own actions up against something or someone. We need those “Touchstones” to know if we are heading down the correct Trail, and not the bad Pathway. This Role Model Individual of mine happens to be a longtime Scout Master. I actually have a couple of Role models that are Scout Masters. I do not think it is a coincidence either. Our conversation was about who do we pass the Nature Baton off too. We are both getting up there in age and those thoughts become more prevalent as you see time running out, little by little. Both of us have spent the last 20 years or so doing as much Outdoor Volunteer work as we could possibly handle and still remain responsible adults and family members. Dave through Scouting and myself through Hiking Michigan have sponsored and organized literally countless Events and Outdoor activities for all ages. 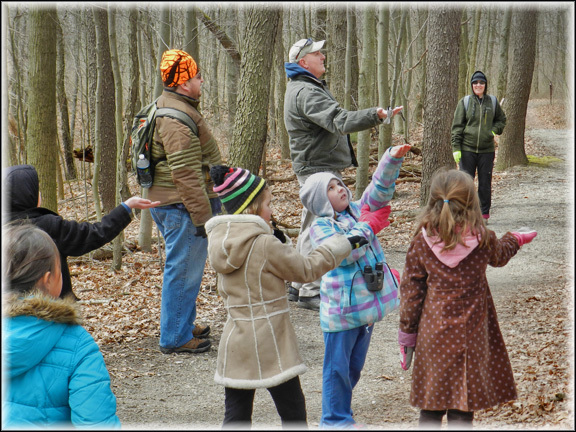 Many focused on educated or giving children an outdoor experience. Yet both of us felt like there was no Baton being passed along. 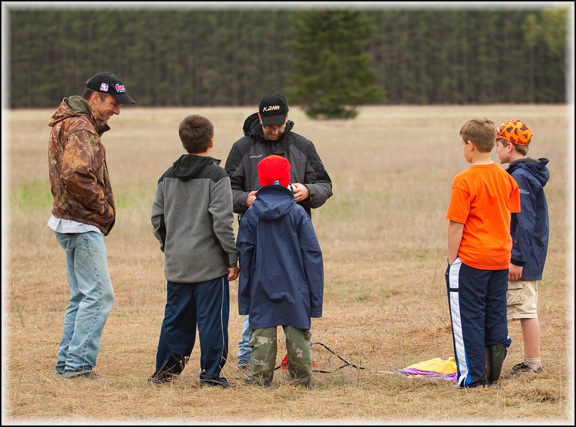 Yes…….we have both put together some very Fun and educational Events for the Kids. Dave much more then me through Scouting. We both have seen up to 100 children attend a specific Outdoor activity or Event and everyone enjoyed the experience. But what we were talking about to one another had nothing to do with just having Fun. That is not what success was being judged by here. If you through enough money at something, or even work hard enough to sponsor or organize an Outdoor Event, it is not that hard to get 100 kids to show up with parents and/or family members. But in the big picture that really doesn’t mean a real lot. We are talking lifetimes here. The next Generation. Not just a Fun afternoon. We are not nurturing new Leaders. We are not giving these children an outdoor experience influential enough to turn their lives into something different or special by dedicating THEIR lives to THEIR generation and it’s understanding of the Natural world and it’s importance to us and the entire world. It starts with Mom & Dad. They have the greatest influence on the children. Mine taught me the greatest respect for the Natural world. Enough that it has stuck with me until this very day. But besides the parents it then takes dedicated individuals, usually Volunteers, because this kind of caring and nurturing does not pay alot of money if anything at all. In fact……these days, the money part mostly contaminates the experiences for the children. They do not learn much when the leader or Instructor is trying to just further their career, advance their Non Profit group or make more money for their own business. The children can learn those things at school or out in the business world. The Natural world links us all through our hearts and spirits, and not our egos. Children see this very quickly. They know when the adult, Leader or Instructor is there for the money, Career or alternative motive, and not for the true love of the Natural world or the want to show THEM the beauties and wonders that make up EVERYTHING on our planet. As Dave and I talked about all of this further, we wondered if all of these outside and bad examples where not already poorly influencing the children. How many times can you try and fool the Kids before they just give up on it ever being real, or the truth. They will not say anything to you about it directly, but the determinations from the examples they have been shown, have already been made by them inside. Now the battle starts back at convincing them that Nature is important. That it is not just a way to make yourself popular or make a big career for yourself as they have been shown up to this point in time. It gets pretty hard to move forward starting so far back. BUT…….it can be done. IT IS being done. Both Dave and myself have seen it, still see it and know that it is still possible under all the past bad Pathways, Electronic sideshows, and poor leaders that have been danced in front of these kids. Maybe rather then saying we have had a big successful outdoor Children’s Event, when 100 kids show up. We should rather feel more successful when we have the same amount of time and energy spent on 6 children for the afternoon or weekend. All that time to answer every one of their questions. Show them everything they wanted to see. Let THEM hand feed the Birds……Let THEM turn over that rock, see what they find and examine what is there with them for how ever long they want to spend there. It seems that with 100 children attending an Outdoor Event an no one to pass the Baton too, and 6 children attending an Outdoor Experience and just maybe every single one of them being influenced in such a positive way that they too will influence others their own age with the same excitement as they have felt from their experience, is something we then can consider passing the Baton too. Better yet……they take the Baton from us on their own. 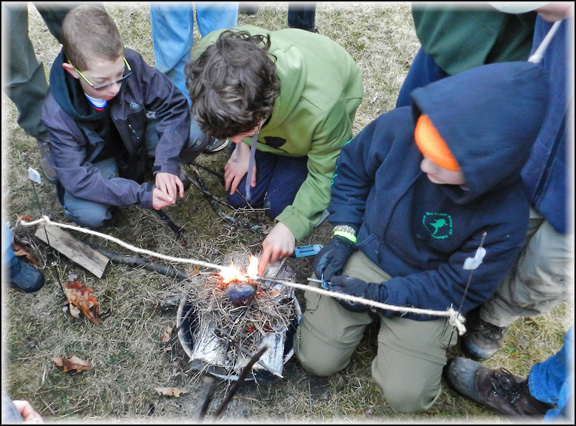 We have been looking for a way to make it easier to continue our quarterly Newsletter, Share outdoor Links, and have a place where you all can come and find all types of Outdoor connections. Connections to other Blogs with useful Nature knowledge. Blogs & Websites for Birding, Geocaching, Camping and Hiking almost anywhere. 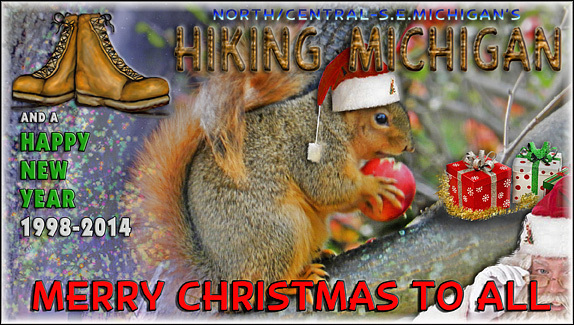 YES…..we have this Blog here, the official Hiking Michigan Blog. But it is focused on the Group, it’s Hikes, what we experience more specifically on those Hikes. Individual Parks and trails we visit and mostly HM Group related stuff. 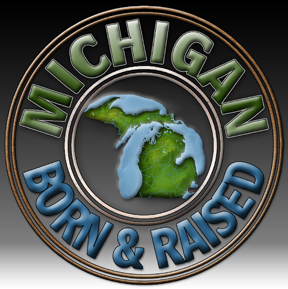 The new BE MICHIGAN Blog, covers a little bit of everything. And not just HM related. The Blog is also open to many other Outdoor experts and friends who will be writing articles and making Blog postings on a variety of outdoor subjects. All with keeping YOU informed, Sharing the knowledge and helping everyone be just a little bit better prepared before they head out into the Parks and Trails of Michigan and Canada. So……if you have your own Blog, or you want to write about your Outdoor experiences and Share your knowledge with all of us, then drop me an email, and we will open up a place for you to be able to make posts here on the site. Contact Rob Golda. Head over to the new Blog and see what it is all about. We are building as we go, so make suggestions or even write for the Blog itself. Just like Hiking Michigan the hiking group, this new Blog IS YOURS. It should represent YOU and your ideas. GO TO BE MICHIGAN OUTDOORS. This is our last chance to speak up and tell our DNR what we feel about all these Linear BIKE Pathways they are spending millions of our PASSPORT dollars on instead of Real foot Trails, Infrastructure rebuilding of the aged Parks and fighting the biggest problem in Michigan, Invasive Species. Do not be fooled by their word terms. It used to be that Trails where considered for Foot Travel. Hiking, Birding, geocaching, Hunting, etc, and Pathways where these linear Bike, oneway asphalt or crushed Limestone things that usually went nowhere. Do not be fooled while taking their Survey. They now use the term Trails to refer to all of their Bike Linear Pathway Plans. That is how desperate they have become at getting their ways and how manipulated they are by Bike Lobbyists, and Greenways Non Profit groups who all only care about their personal, private sector salaries and power structures. Please take their Survey, We have until January 25th. Please help Michigan Nature survive and not be battered down by these shortsighted, self full filling schemers who want nothing good for the major users of Michigan’s Parks and Waterways. Their own Surveys told them over 80% of Michigan people want Trails and Parks and improvements made there with our PASSPORT money. They then manipulated that into meaning the people wanted their Linear, Oneway BIKE Pathways to Nowhere. Either asphalt or crushed Limestone, six foot wide right of ways in many places. Does that sound like something You foot travelers want? Know that you are the majority User. They have to actually LIE, to get a different answer here. Please take this DNR Survey. It is anonymous. Let them know their Plans are completely off the mark. Take a moment to read their actual Trails Plans. It will revolt you at just what they will do over the next 5 years if they are not stopped. PASSPORT fees have already been increased another dollar after less then 2 years in use. That’s because the DNR is spending millions on these Linear Bike Pathways, 11 million dollar ADVENTURE Centers in Detroit and other bad money management. Please help stop this and protect our Natural resources and heritage in our beautiful Michigan. PLEAS. This is not a Political thing here. It is the people of Michigan who care about stopping Invasive Species from taking over every Park in the state and that includes the Lakes and Waterway. It is people who care about destroying the largest Great Blue heronry in Southeastern Michigan in the name of even more Linear, Asphalt BIKE Pathways. That was $300,000 dollars of our PASSPORT money donated by our DNR to make that happen. Dead Herons selected over not getting their Bike Pathway. This is from the state agency we have entrusted with the protection and health of our states ecosystems, Parks and Waterway. What are they thinking? By no means are we done with Winter. In fact it would be very harmful if we where done with snow and extended cold temperatures. Like I have mentioned in past posts, the Winter season is a valuable time of year here in Michigan. It allows for the replenishing of the underground water aquifers, with the eventual snow melts at the end of the season. The extended cold temperatures kill many insects and damaging diseases that would otherwise only grow stronger during the winter, rather the be controlled through an extended cold temperature season. We have watched these last few winters as many diseases and insects have not had their normal die-backs during the winter months, due to the lack of snow and extended cold temperatures. These things can be devastating to so many different ecosystems in Michigan. This also helps the Invasive Species take an even stronger hold on our environments here. Now the good stuff. 🙂 These occasional mid-winter quick warm-ups can be wonderful outdoor experiences. Many different critters will come out of either semi-hibernations or from me hold-up deep in a den or burrow, and do a bit of roaming for some fresh food. Since the critters and birds are moving a bit slower then normal, there are some excellent opportunities to see all types of wildlife. Yes……it can be a bit “Gushy” along the Trails during these warm-ups, but it is more then worth a few mud covered tracks. 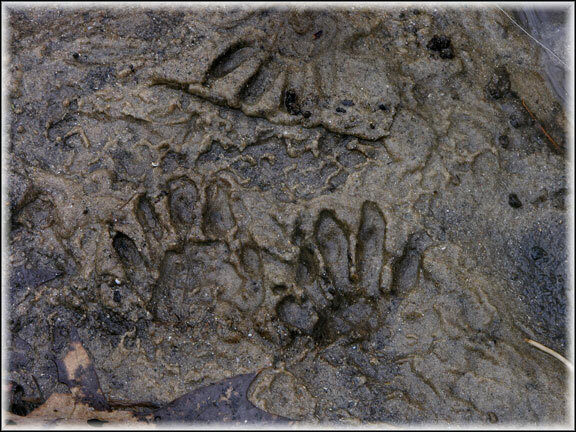 Speaking of tracks…..keep your eyes open while exploring during one of the mid-winter warm0ups, for various animal tracks. The fresh mud can reveal some beautiful tracks, just as well as a fresh snow fall. You will also find yourself unbothered by many other outdoorsman during one of these thaws. Most people will shy away from the “Gushies” and possible mud conditions of a mid-winter thaw. But for those of us that enjoy having the forests to ourselves, and just our wildlife buddies, these are excellent times to explore the Trails. Do not be afraid to bring along that Garbage bag so that you can just plop yourself down someplace, on the wet ground and just sit for a bit. It is not easy to be quite in Gushy conditions, even if you are a stealthy critter or Bird. Sit yourself down on that dry Garbage bag spot and listen and watch. Once you have blended into your surroundings, you will be very happy with the results. Birds chirping directly overhead, critters scurrying almost everywhere, and wildlife spotting you never knew existed where you sat. Sometimes the worst weather in our human minds, can be the very best weather to find critters and wildlife, even in the most overused places. Like I have mentioned many times before……be aware of what you see and where you see it during these times of year. These Birds and animals frequent many of the same places during all the seasons, or at least use the animal “Highways” to get around through all seasons. While the foliage is down and one can see for greater distances, it is great to ID particular critter and Birds you spot now, so that when the forests are thick with leaves and ground cover during the summer months, you will have a good idea of what is prowling around the thick cover. This post was another favorite for 2012. It is the study of a Bird Feather. Just like a human hair, the individual strands (hairs) are linked together with minuscule hooks to form a solid feather. Amazing stuff! All this talk of Birds dealing with the extreme heat of summer, sparked me to redo a PDF file we had on the web site. The file was a study of the details of a Bird’s Feather. A nice close-up and examination of the make-up of an individual feather. I have always been intrigued by Bird feathers. Their shapes, colors and delicate yet many uses. I have collected feathers since I was a young Scout, and never stopped for the rest of my life. 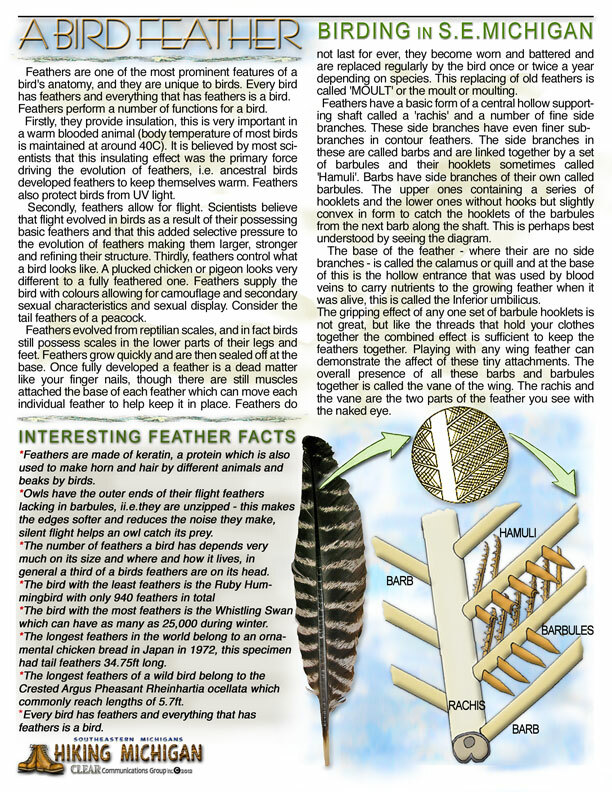 I hope you find the Bird Feather study interesting and get a better understanding on how a Bird uses it’s various feathers to fly, maneuver and keep warm & cool through the different seasons and temperatures. The Pond pictured here is a good example of a healthy ecosystem, with much Biodiversity at one end of the Pond, and a Dead-zone at the other end of the Pond. The West side of the Pond area has “Loosestrife” and “Garlic Mustard” invading it’s waters and shoreline, as well as a non-native to Michigan, Swan. Because of these invaders, not much else is taking place in and around these waters. On the right side of the Pond area we have a healthy, Biodiverse, interconnected ecosystem. Here you find all the various plants, animals and insects that all interact with one another to keep a healthy, thriving habitat working. All of these plants, animals and Insects connect to one another through a natural and biodiverse environment. This balance can be very delicate, and upset by the mere removal of just a couple of the plants, animals or insects that are present there. Without any natural enemies, plants like the “Loosestrife” and ”Garlic Mustard” can overtake ALL of the natural plants in and around this Pond, and upset the balance of inter connectivity between all the living things there. This can easily, completely destroy the natural environment. It all may still look pretty on the surface, but there is no Biodiversity and richness of life there anymore. A Mono-culture. Taking good care of our Natural Resources…..controlling Invasive Species…..nurturing everything down to the smallest of insects, create an environment that can be enjoyed by simply EVERYONE no matter what type of outdoor or Recreational experience they may have in mind. EVERYONE. That’s a pretty big result from a sole focus. A healthy Natural Resources based Ecosystem is a very Interconnected world. Insects rely on the grasses and trees to thrive. The Trees need clean water and sunlight to grow strong. The Birds need the Trees for food and protection. And on and on. All of these Interconnections are what produces the beautiful Overlooks, Wonderful waterways, Critter filled Trails, Etc. These things cannot be built or created by Man. We certainly can help produce the environments that are clean, healthy and Invasive species free, so that all of these Natural Interconnections can thrive. But we should never believe we can actually create these Wonders on our own. 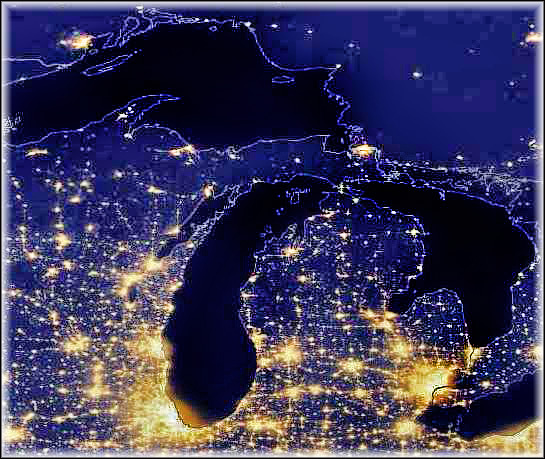 This is why we need to protect and nurture ALL our Natural Resources here in beautiful Michigan. See if you can find all the critters, plants, tree, birds and insects in the Park. Some are oversized for easy viewing, and others are lurking in the deep forest. We will be posting the totals and what is there in the Park, next week.